I feel an almost moral obligation to post about these shoes. They're called Freckles! 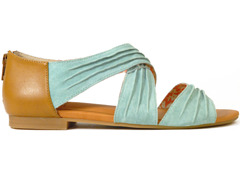 They're made by BC Footwear and I've found them in various colors and price points here, here, here, here, and on the BC Footwear website (can't get it to do a direct link but they're in the sandals section of the shop). I'm so in love with the aqua color! I love sandals like this. They are as easy as flip flops, but look a lot more put together. I live in this stuff during the summer! These are so cute!! Teal is right up there with yellow in my favorite colors for spring and summer! Love! So cute. Love the color. Hi Kayla! I found your blog through Nina's and wanted to stop and say hi. Love your style and can't wait to read more of your posts! 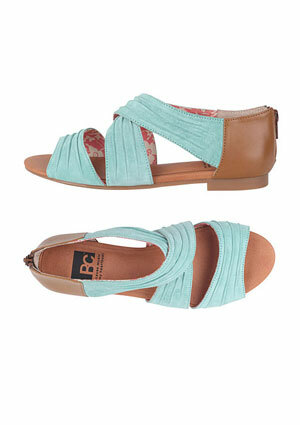 i have a few pairs of bc's, they make the BEST flat sandals ever! HEy ! Love your blog and just became a follower! Would love for you to check mine out!! Granted, the color isn't as fun, but it's cheaper!